When you are searching for a martial arts school you should learn the difference between martial arts like Krav Maga, original Karate, Jujitsu, Filipino Kali Arnis weapons arts …and the modern sport martial arts like sport Karate, Brazilian Jujitsu etc. Basically the difference is some are the real fighting Martial Arts and the rest are the commonly taught sport Martial Arts or martial ways. In the martial arts world there are two main training paths. There are the original fighting martial arts (along with the modern military fighting arts such as Krav Maga, Systema etc) sometimes called the “war arts” or bujutsu. These are much harder to find but worth the work to find them if you have a excellent Sensei near you that will accept you as a student. 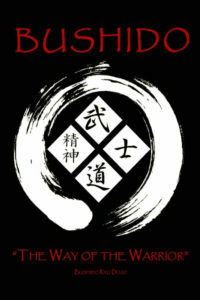 And then there are the much more common sport martial arts and “Martial ways”, also known as Budo arts. These are commonly taught as sport martial arts such as Tai Kwon Do, Kids Karate, Brazilian Jujitsu, kickboxing etc. These schools are everywhere. Theres nothing wrong with this martial path if you want to play sport martial arts or want to find a martial arts school for your child etc. The original martial arts are many hundreds to thousands of years old. Generally they were passed down from Sensei to student in secret. The only modern martial arts that have the same functional fighting techniques as the war arts are their direct descendents in military fighting arts such as Krav Maga used by the Israeli IDF and special forces soldiers. 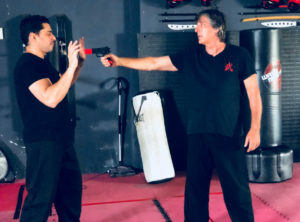 (Krav Maga was founded by Imi Lichtenfeld who learned these fighting martial arts from his father, Samuel, who was taught Jujitsu, Karate and weapons arts by the Martial Artists he met when he was working and traveling in the East as a young man. Krav Maga is a direct continuation of those original martial arts and is descended from the original war arts fighting versions of Karate, Jujitsu and weapons which accounts for its street effective self defense). The different types of martial arts all emphasize different skills sets and martial technique. Some arts kick and punch, some do throws and joint locks some specialize in weapons. The functional martial arts usually have a complete set of fighting skills that include all 4 fighting ranges and weapons. Kick range. Kicking is a skill that not all opponents have, especially in long range. The Kicking range skills that has 2 elements -offenses and defenses. Most opponents will have no fighting experience defending against kicks. Kick a range also gives you a significant reach advantage. Usually almost 2 feet of extra reach. This obviously can be a huge advantage when defending yourself from an attacker -especially a taller attacker. Punch range. This fighting range consists of all the different types of punches and hand strikes. (Hammer fist, knife hand, back fist, finger jab lead, palm strikes, ridge hands etc). Punch range is a commonly used range, it is very effective and useful in Street defense. One downside of the range is that it is a fighting range that any Street attacker will be able to use against you. Everyone can punch though they may not do it well. 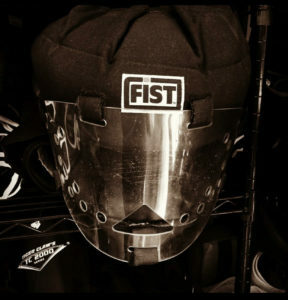 Once again the range consists of offensive fighting technique and defending against punches and other hands strikes. Generally attackers will come at you with a circular punch attack like the classic “sucker punch” hook punch. Alternatively they will attack with a straight punch, right cross boxing punch. You need to be able to defend against these common street attacks and either counterattack to incapacitate the opponent or you will have launched a preemptive defensive strike such as a “stop hit” to head off the opponents attack before they are able to hurt you. 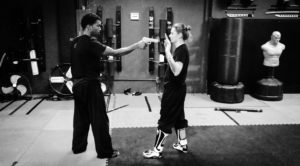 Punch range is a set of fighting skills that you will need to be very conversant with because most of your self defense will begin at punch range from an untrained street attacker. Infighting range. Infighting range is very close range sometimes called close quarters combat (CQC), It is about half the range of punch range. This is the range where elbow strikes and knees strikes happen. 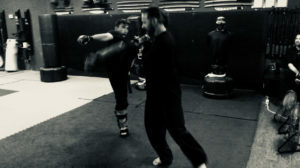 It is a difficult martial arts range to defend because strikes are very powerful and also very quick and are launched from a very short distance away. This is not a range that most attackers use effectively. 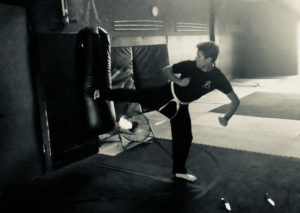 Most martial arts systems don’t specialize in infighting range with the exception of systems such as Wing Chun kung fu, Filipino martial arts like Kali or Arnis de Mano, Muy Thai, Krav Maga, Jeet Kune Do etc. Grappling range. The grappling fighting range is obviously a very close range. Attacks that occur in this range are going to look like a wrestling scenario. Generally fights in this range will go to the ground and focus on getting weight, leverage and position against the opponent. An attacker will attempt to gain physical control over you and use that position to punch or choke you. Because an attacker is looking for an advantage many times they will only attack you if they are physically larger and stronger than you. Because of this grappling fighting range will present some challenges due to the fact that you are giving up significant mass and strength to the opponent. These disadvantages can be overcome through superior technique and leverage principles. The martial arts that will give you these technique and leverage superiority are Arts such as jujitsu, judo, Brazilian jujitsu, mixed martial arts – MMA, and other sport arts that you may have experienced such as wrestling. When you are defending yourself in the street conflict and the fight has gone to the ground into grappling ranch you need to stop the opponent from striking you affectively, keep the opponent from choking you and keep them from crushing you down with their weight. Additionally you have to be aware of the fact that additional attackers may engage you while you were tangled up with the original attacker. This is a big concern because it is very difficult to fight more than one opponent on the ground especially when the additional opponents are still standing and kicking or striking down at you on the ground. Joint locks, submission holds, throws and chokes. You have to be able to Defend yourself against an attacker trying to do any of these things, throw you down, choke you, but you in any kind of submission or pin defend yourself against an attacker trying to do any of these things, throw you down, choke you, put you in any kind of submission or pin to make you vulnerable to being struck or attacked in other ways. At the same time being able to use these primarily jujitsu based skills on an opponent in your defense is extremely effective. You need to be able to do joint locks submissions, Take downs, throws, chokes and other leverage based martial arts skills. Because these skills use leverage and technique to magnify your Because these skills use leverage and technique to magnify your strength you are able to defend yourself against and control opponents that are significantly stronger and larger than you are. Weapons. To be effective in self-defense you need to be able to defend against weapons attacks. Especially knives, clubs and blunt force weapons of all sizes and firearms, (pistol and rifle defenses). Martial arts such as Krav Maga, Jujitsu and Filipino martial arts (Kali, Arnis de Mano etc) Are very effective at weapons defense. You also need to have skills in using weapons. You should be very functional in knife fighting with all lengths of blades, stick fighting with all lengths of the stick (from a 6 inch Kubaton or Yawara stick to a 6 foot long BO staff). You should also be able to use flexible weapons like a fighting chain (Manriki-gusari) which would also be useful skills with makeshift weapons like the belt you wear on your pants etc. You should be familiar with firearms, How they work mechanically and what the capabilities of these weapons are. It is your choice whether to get trained and licensed (CCP) to carry firearms. If you do you need to be able to combine your bare hand fighting skills with your weapons in ways that are functional (Pistol retention skills etc). Being able to defend yourself against weapons that are commonly used in street attacks will be the first priority though. Attackers commonly use knives to either intimidate with or just attack with. Clubs in baseball bats are common and you need to be able to defend yourself again and attacker that tries to strike you with some sort of stick weapon. Pistols and rifles are not most effective at extremely close ranges but ironically street criminals that use guns are not that familiar with firearms, they don’t use them correctly or in ways which are most effective (and most difficult to defend against). In street attacks guns are many times used a point blank range, held at close range etc. It’s intimidating to have a gun pointed at you at close range but it also gives you many more options if you decide your best course of action is active defense. 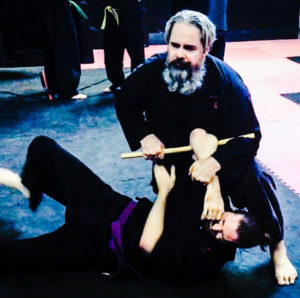 To be an effective martial artist and to be able to defend yourself against any sort of street attack you need to be functional in all of these areas. The 4 fighting ranges plus locks and holds and weapons skills. In defending yourself (and having the peace of mind of knowing you can defend yourself and your family) You need to be skilled in all these areas. Most people and most martial artists are not. you need to be skilled in all these areas. If you want to be able to defend yourself in real life and against the common scenarios that happen thousands of times a year in the US you need to be trained in the real martial arts rather than the commonly taught sport martial arts. These “war arts“ are very hard to find normally because traditionally they have not been shown to people that were not family. Every real version of martial arts started out as closely held secrets. If you weren’t a trusted family member teachers were not going to show you their skills. Once they’ve given away their knowledge they can’t take it back and it can be used against them. Its like a pro sportd team would not show a competitor their playbook. The days of keeping the skills secret are past but because of this tradition most of the original arts are not well known or commonly taught. Most schools focus on kids martial arts or on playing martial arts as a sport so not knowing the real skills is not an issue for them. But if you want to be able to defend yourself you will want to learn these optimal martial arts if you can find a teacher who knows them and will accept you as a student. At our dojo we teach all these skills and don’t hold back knowledge from the students. We are selective in the people we accept as members of the dojo but if you’ve been accepted to the school we will teach you all the martial skills.